For 24 years, veteran US Open sponsor American Express has strived to bring consumers and cardmembers closer to the game of tennis by delivering exclusive access and implementing cutting-edge technology. 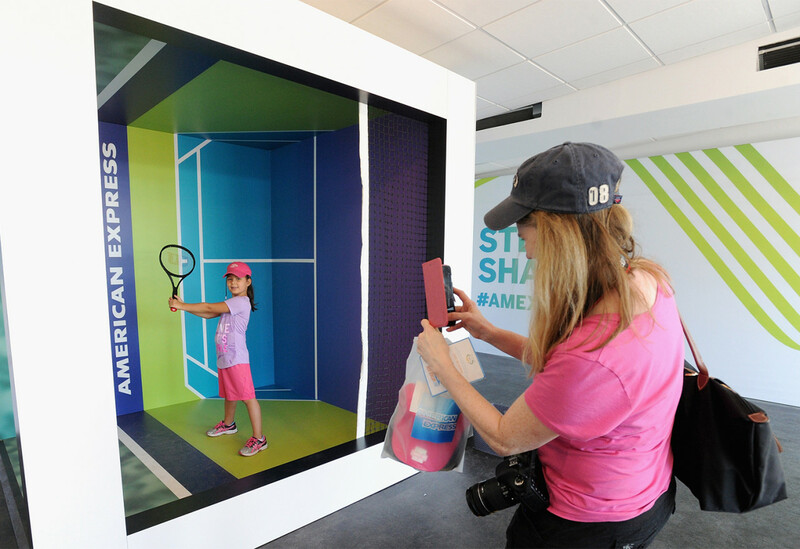 This year, the brand is upping the ante once again with an artificial intelligence-powered gaming experience, an interactive photo op featuring iPhoto technology, a dedicated section within the official USTA app and its biggest Cardmember Club to date. The tournament (this year Aug. 28-Sept. 10) continues to serve as an opportunity not only to reward cardmembers, but to showcase the value of American Express card membership to prospective customers. 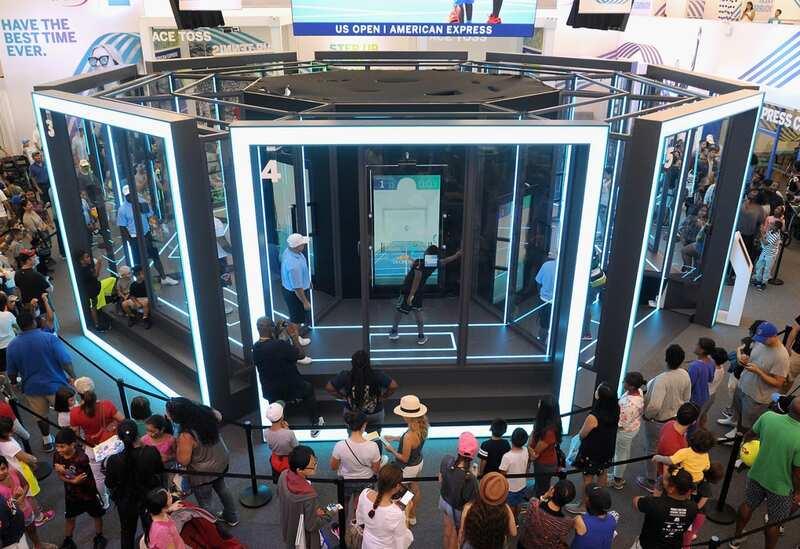 To deliver relevant experiences to each audience, the brand is offering an array of engagements to general attendees inside the main Fan Experience footprint, while established cardmembers can enjoy the VIP treatment nearby in the exclusive cardmember lounge. For general attendees, Air Tennis is both the focal point and the heart of the activation. 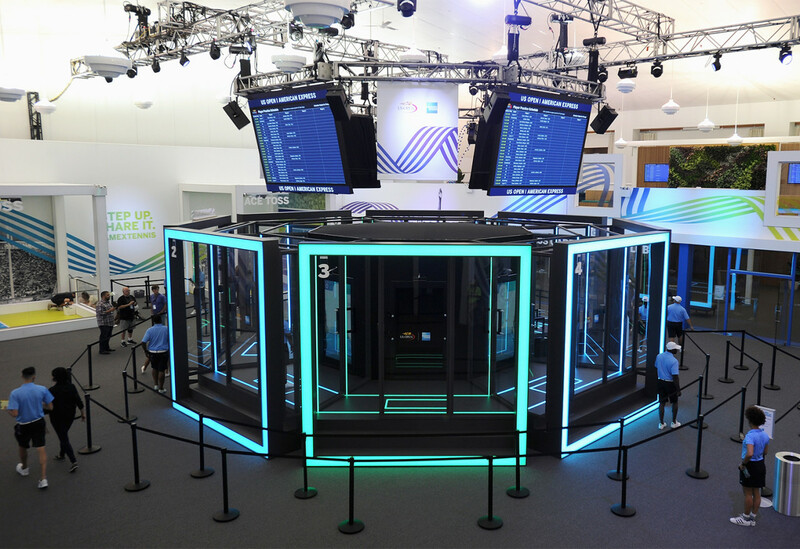 Located at the center of the footprint in a glass-paneled circular structure featuring eight bays, the engagement uses a combination of custom-built and responsive technologies, including air haptics, 3D sound and an ultra-sensitive motion capture system, to create an interactive live gaming experience. 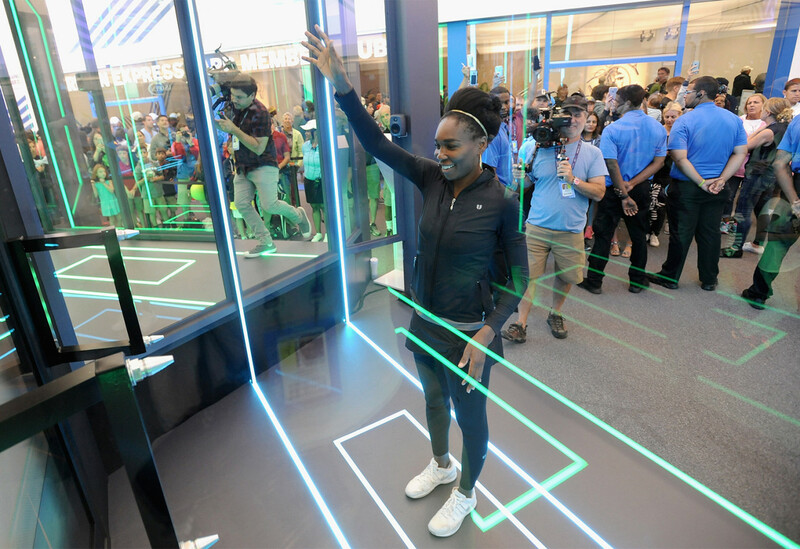 How it works: Attendees are pitted against an artificial intelligence tennis opponent on a life-sized monitor and compete using only their hands and natural body movements to return as many virtual tennis balls as possible. With each successful return of the ball, a timed blast of air hits the player’s hand, lending the experience an ultra realistic quality. 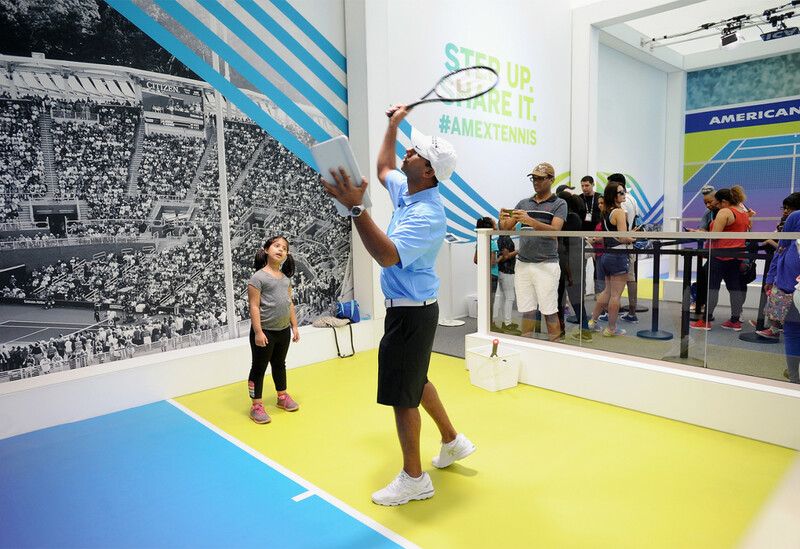 General attendees can also participate in the American Express Ace Toss photo engagement created in partnership with The Bosco, which takes place on a miniaturized faux tennis court. 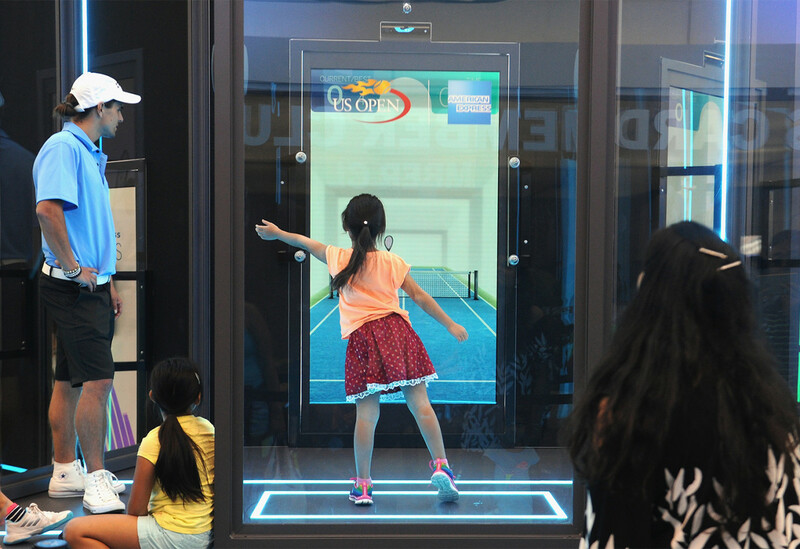 The experience captures fans delivering their best “Ace Toss” by digitally compositing and animating a tennis ball, which creates a perfect toss and ace serve for every participant. 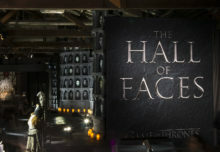 A commemorative GIF is then distributed for sharing across social media. 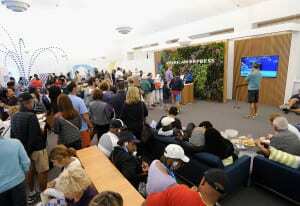 And for those having difficulties navigating their way around the tournament, American Express is on hand once again with sponsored Guest Information booths located throughout the grounds of the USTA Billie Jean King National Tennis Center. 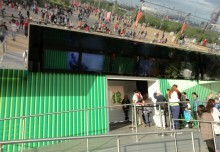 New this year, the brand has also incorporated large touchscreen maps into each booth to make navigation that much easier. Inside this year’s iteration of the Cardmember Club, the benefits are bigger and better than ever before. 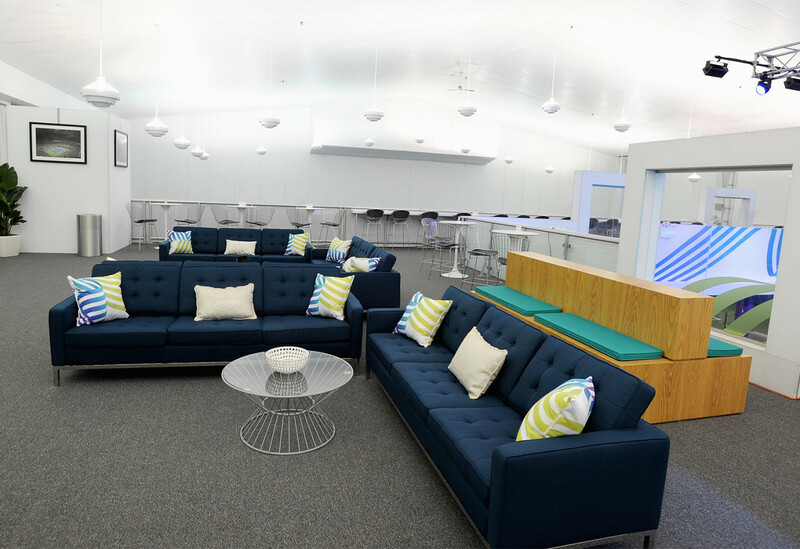 The space has been expanded to two stories as a result of demand, and offers more services, like massages from Exhale Spa and a refresh bar from Milk Makeup, than ever before. 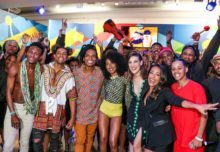 In addition, the brand not only partnered with Venus Williams for a social content series, but collaborated with the tennis star and her company V Starr Interiors on the design of the newly expanded Club. 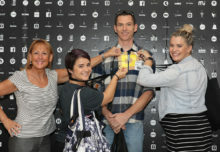 Other on-site cardmember perks include four satellite booth locations where they can receive an in-ear radio broadcasting live ESPN tournament coverage, and a spend $100, get $20 back offer for any on-site transactions. 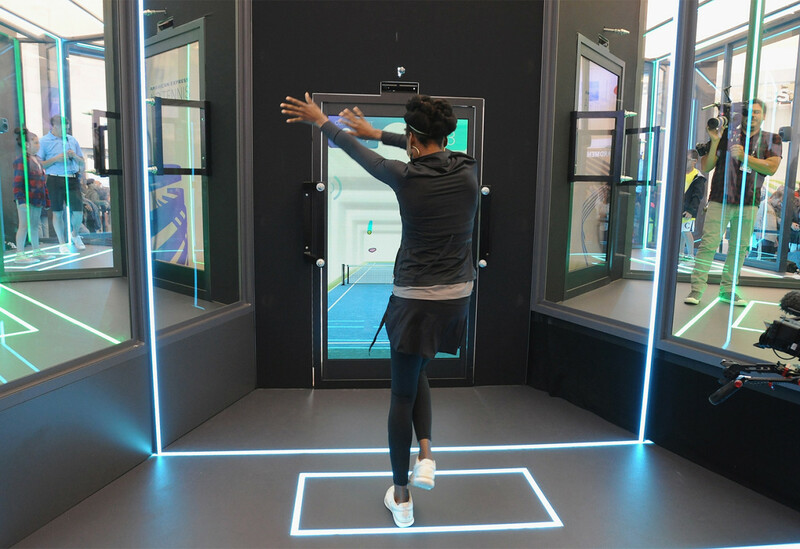 “We know that our cardmembers love the game of tennis and it’s one of their key passion areas when you talk about what they’re really interested in across sports and entertainment,” says Ulrey. “Being there year after year is a way we can really engage with them in a unique way every year.” Agency: Momentum Worldwide, New York City.